An ideal way to avoid missing your flight or the frustration of traffic delay is to book a vehicle from our airport transportation services. Our reliable and comfortable transportation service is all you need to reach the airport in time for your trip or get to your destination after your journey. The luxurious and modern air-conditioned vehicles used to transport our clients will keep you relaxed. These vehicles are equipped with two-way radios to give updates on traffic situations and flights. Airport limousine services make your airline travel glamorous. You don’t have to share a shuttle with other passengers or squeeze yourself in a taxi with your luggage. Our airport transport services will guarantee the comfort you desire. A trip free from frustration and stress is assured if you book any of our vehicles. Our services are available for 24 hours through the week at affordable costs. With our executive limousine, you can begin or end your journey with ease and smiles. You are sure of happy and stylish travels. Take a fun ride to or from the airport by taking any of our limousines. We treat our clients with dignity. We won’t subject you to undignified practices under the guise of security checks or increase your fare by taking a longer route to your destination. There is no hidden cost for our services. Our clients’ comfort is our priority. You won’t be herded like cattle while boarding any of our vehicles. With experienced and tested drivers at your service, you are assured of safe trip. Arriving at the airport without any hassles and relaxed is one of the benefits of using our services. The luxury you will enjoy is second to none. Our vehicles have partitioned in-cabin to allow you the privacy that you desire. You will relax peacefully in comfortable seats and may help yourself from the bar stocked with ice, water, and coffee. Also, each vehicle has an entertainment system installed in it. You may wish to play your favorite music and enjoy the first-class services that we offer. With the VIP services that we offer to our clients, you will feel reluctant to leave our vehicle when you reach the airport or your destination. You may desire to continue the ride. Our airport limo service is the perfect transportation service for your friend or relative that has planned to visit you. Give your visitors a celebrity treat by booking airport limousines for them. A trip to the airport in one of our vehicles can be the most exciting trip you have ever made. The luxurious interior of the car will get you let out a sigh of relief as soon as you sink into your seat. Once you board the vehicle, you are in control of your trip. You can make the quiet and peaceful or you can have fun and play any music of your choice. You can’t get a ride to the airport from a relative or a taxi, but you cannot have the same experience that our services offer. Don’t wait till you become a celebrity or CEO before you book an airport limousine. You can start your vacation with a ride to the airport in one of our luxury cars. Enjoy yourself like an athlete or even a rock star and arrive at the airport stylishly. Your arrival or departure will give the impression that you are a prominent figure. Don’t be embarrassed if people start asking to take selfies with you. So, make yourself a celebrity with a ride in one of our limousines and enjoy the feeling of being someone special. Do you want to save time before or after a trip? A ride in one of our chauffeur-driven limousine is all you need. While other vehicles are stuck in traffic, you will be on your way. Our private transport service saves your time by eliminating delays and frustration. Contact us to reserve a vehicle for your departure and arrival whenever you want to travel. Whatever the weather condition after or before your flight, it will not deter us from providing the executive treatment you deserve. We offer reliable transport service and will fight all odds to get you to your destination. It is our responsibility to provide a comfortable transportation to you. With the support of our dedicated staff, be sure of an impressive and uneventful transfer. We offer exceptional services to travelers. Satisfying the needs of our clients is crucial to us. 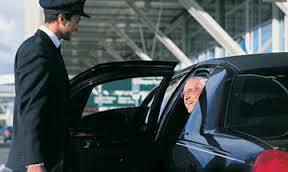 Our dedicated and experienced chauffeurs provide reliable and fast transfer to both leisure and business travelers. They can also communicate efficiently with travelers. The chauffeurs ensure that our clients have awesome trips. Get the best deal on excellent airport limousine services from our company. Our service rate is based on the distance traveled. The fixed rate system for our services is economical. We offer affordable prices compared to taxis and regular airport shuttles. There is enough space for your luggage in our vehicles. Considering the excellent services we render to travelers; our service cost is cheaper compared to other transportation options. Book a private limousine for your next trip from the best airport services. Enjoy a relaxed and comfortable transfer in an insured and licensed vehicle. For your safety and comfort, use our airport transportation service. The last thing you would want after a long flight is to be cramped in a compact car. Enjoy your transfer in a comfortable and luxury seat in any of our vehicles. To hire the best limo service in Charlotte, call 704-202-9685. This entry was posted in Airport Limousine, Charlotte Limousine Service, limo, Limousine, Transportation and tagged airport, limo, limousine. Bookmark the permalink.